The Presbyterian sources do not mention that Short was a fugitive. Glengap © James Bell and licensed for reuse. Glengap lies at the northern end of the narrow parish of Twynholm close to its eastern boundary with Tongland parish. 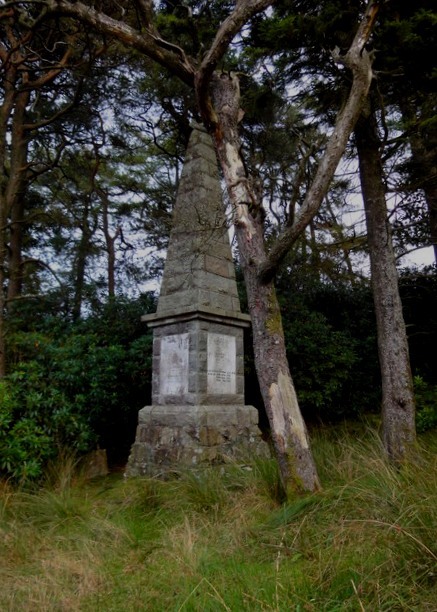 The Martyrs’ Monument and the Martyr’s Stone on Kirkconnell Moor © Sue King-Smith and licensed for reuse. The neighbouring farm of Miefield was the home of a second David Halliday, the ‘portioner of Mayfield’ who was shot by Robert Grierson of Lag on nearby Kirkconnell Moor in February, 1685. Given the evidence above, the close proximity and relative isolation of Meifield and Glengap, and the similar first names of both Hallidays, it is likely that Halliday in Meifield and Halliday in Glengap were close kin. That may indicate that there was some kind of causal connection between the deaths of the two Hallidays. Both were killed at the hands of Lag. Lag Tower © David Purchase and licensed for reuse. Who Killed Halliday and Short? Shields’ brief account implies that Halliday and Short were shot on the same night, but it does not indicate if they were either captured, or executed, at the same time or place. 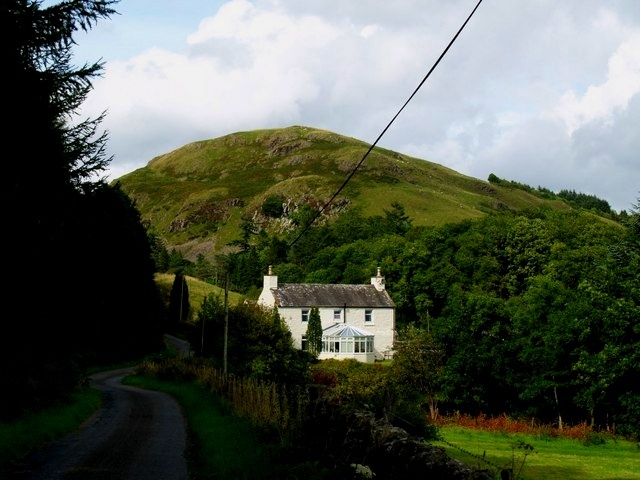 Lag was based at Lag Tower in Dumfriesshire. He is associated in later tradition with a number of deaths in the Killing Times. See John Dempster, M’Roy, and the pursuit of Margaret Gracie. However, he is also linked to historical summary executions at Kirkconnell Moor (February), Irongray (March) and perhaps Wigtown (May). His involvement in the death of Halliday in Mayfield at Kirkconnell Moor at least indicates that he had previous experience of hunting fugitives in the area where Halliday and Short were killed. Shields’ description of their command over troops of heritors may suggest that militia forces were involved. In 1685, the militia was called out in late May is response to the Argyll Rising and elements of it remained in the field until July. However, Lag may have taken part in the killings of Halliday and Short at any point between February and July, 1685. Shields claim that they were in command of a force of heritors may have been quite precise. It is possible that Annandale and Lag were in command of that force, or a latter force called out with the militia in the summer to deal with the Argyll Rising. It is likely that the earl was in command of the heritors, rather than Lag, due to Annandale’s status in society. However, it was Lag, rather than Annandale, who was empowered to press the Abjuration oath in Kirkcudbrightshire. In other words, if Halliday and Short failed to take the Abjuration, it was Lag’s call whether to summarily execute them. The Hallidays’ gravestone lies over five miles to the north-east of Glengap in the churchyard at Balmaghie. A flat stone six feet long and three feet wide raised on pillars, it is located in the south side of the churchyard. It was erected at some point prior to 1714, as it is mentioned in the first edition of Cloud of Witnesses: ‘A gravestone in the churchyard, Balmaghie’ where ‘lyes David Halliday, portioner of Mayfield, and David Halliday, once of Glenape’. THE PRINCIPLES OF SCOTLANDS COVENANTED REFORMATIONE. WHY THEY BY LAG SO WICKEDLY WERE SHOT. The epitaph contains two significant pieces of information. First, the inscription describes Halliday as ‘once of Glenape’. It is not clear what the significance of either the ‘once’, or the ‘of’, is. ‘Once’ could mean that he had left Glengap either before he was killed, or that he had been forfeited. ‘Of’ may indicate that he was a laird. However, it is probably pushing the interpretation of the text too far to draw any firm conclusions from those two words. Second, it specifically dates Halliday’s death to 11 July, 1685, which places it among the later executions of the Killing Times. Other summary executions in similar circumstances took place in June and early July in other parts of Galloway and on the borders of Carrick. They resulted in the deaths of the Barrhill martyrs, Alexander Linn and the hanging of three men at Wigtown. Wodrow had an earlier date for their execution, 10 June, but his date still places their deaths in the same context. Wodrow’s account of their deaths was probably published after the Hallidays’ gravestone was erected. Wodrow places their capture in the context of Lag following up on intelligence about four fugitives in Twynholm parish. The logical place for wanderers to hide in that parish was in the hills around Glengap in the northern tip of Twynholm, as the rest of the parish was more heavily populated and dotted with farms. From his earlier experience at Kirkconnell Moor, Lag knew that the area around Mayfield and Glengap was a place where fugitives hid. It would appear that Halliday and Short were probably captured in the hills around Glengap. Lag and Annandale were in separate parties. 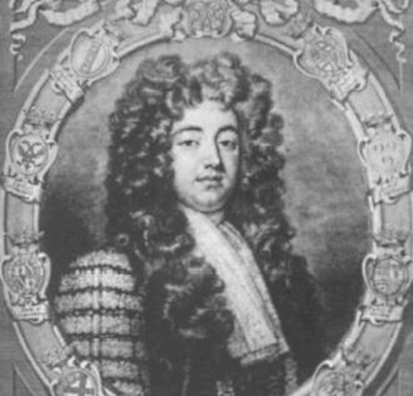 Having captured the two men, the earl of Annandale, who did not have a commission to press the Abjuration oath in Kirkcudbrightshire, allegedly decided to take them for trial, i.e., he decided to take them to Lag who did have the power to put the oath to them. Wodrow has Lag encounter Annandale’s troop. Lag was perfectly entitled to make immediate trial of Halliday and Short. Wodrow’s account makes no mention of them being proffered the Abjuration oath, but it is likely that the oath was put them by Lag. Failure to take the oath in the field would have led to summary execution. A number of reports record troops refusing to carry out summary executions. How reliable they are is not known. In this case, the ‘men’ were heretors called up to defend the realm on a temporary basis, rather than seasoned regulars. A reluctance on their part to carry out Lag’s order is understandable, if such a rebellion in the ranks ever took place. 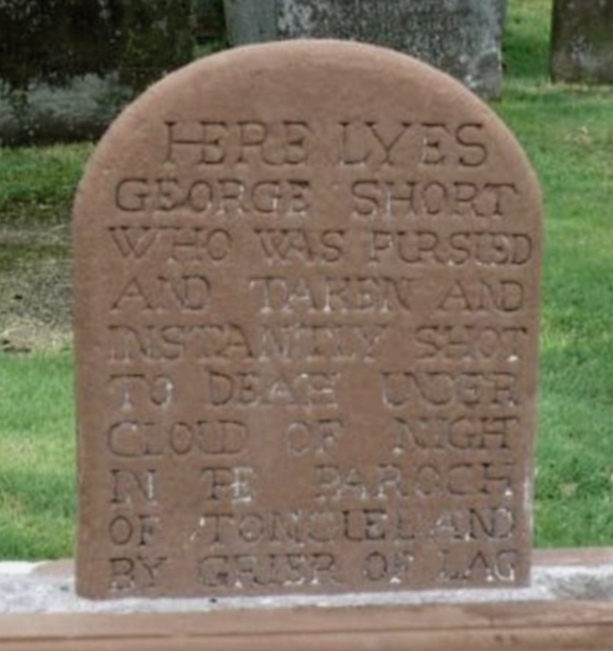 The gravestone of George Short is located in the south-west part of Balmaghie churchyard. 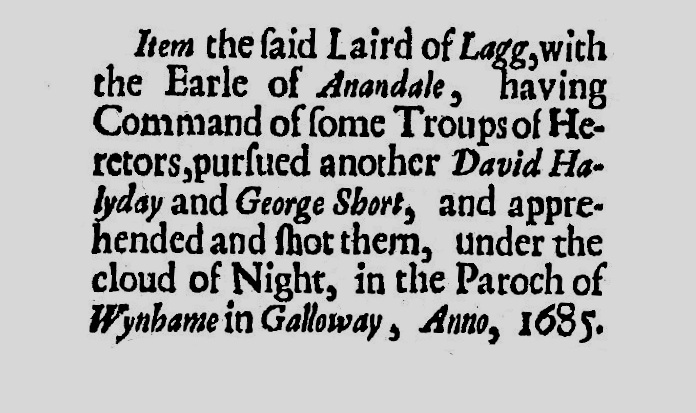 Contrary to both Shields and Wodrow’s assertions that the two men were killed in Twynholm parish, the inscription claims that Short was killed Tongland parish, the area where Short is said to have ‘haunted’ in 1683 or 1684. The grave is sited in Balmaghie parish, which lies to the northern borders of both Twynholm and Tongland parishes. Why the grave contradicts both Shields and Wodrow’s location for their deaths is not known. Was local knowledge the reason for that discrepancy? Was the place where they were executed ambiguously located somewhere among the hills on the boundary between the parishes? Or was Short killed separately from Halliday? There are no definitive answers to those questions. 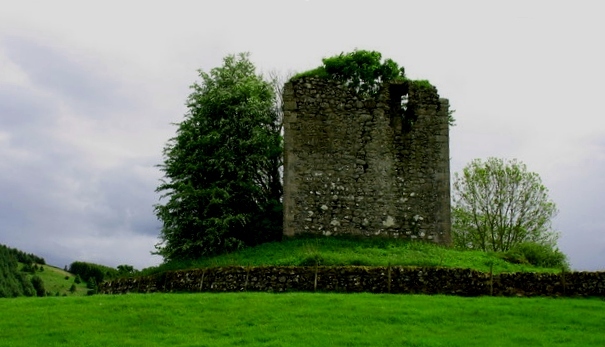 The presence of McMillan in Balmaghie creates a puzzling situation with regards to Short’s grave. For nearly nineteen years, McMillan was both the parish minister and the leader the Society people. 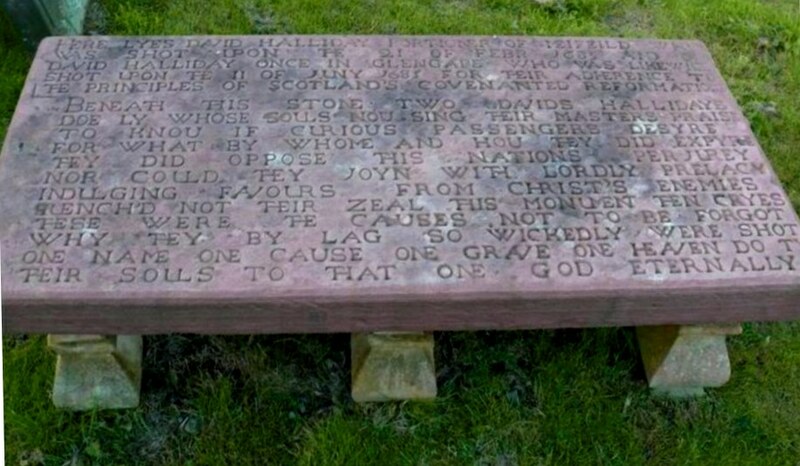 Yet, during his tenure, only the gravestone to the Hallidays appears to have been erected outside of his church. ~ by drmarkjardine on January 20, 2013. What exactly were “troops of heritors”? Were they a ‘posse’ of like-minded property-owners (“freeholders, heritors and gentlemen”) who volunteered for specific campaigns against suspected covenanters? Or were they recruited by such property-owners among their tenants or landless dependants, armed, paid, and placed at the disposal of a local laird like Lagg, on a short-term or medium-term basis? In this case the troop of heritors were the landholders of Dumfriesshire who had been called out to serve king James VII/II. It is an interesting question as to who went with them or who they delegated to send. Clearly, not all of the heritors of the shire went out, e.g. the Duke of Queensberry or the Duke of Monmouth were obviously not present. I would expect that the larger estate owners did not go unless they had a suitable commission, but sent someone in their place. Most of the force would have been small lairds or their sons. Untrained and very likely inexperienced. One of the burdens of being a heritor was that the Scottish state expected you do do things every once in a while. They can be a bit like a posse. In others cases I’ve read about where heritors were called out to search for conventiclers or fugitives, they usually arrive on the scene late and find nothing apart from innocent witnesses who report they saw some fugitives a week ago. The case of Short & Halliday appears to be one of the few occasions where heritor actually found someone. I suspect they would not be the first force that the authorities wanted to use. In some ways, it was possibly more of a test of loyalty. The militia was a step up from calling up the local heritors, as they were better organized and stayed in the field for longer. The militia was called out to defend the realm during times of crisis/rebellion. However, in the 1679 rebellion many heritors did not answer the call to the militia. The western shires, where most fugitives lived, were obviously a problematic area for calling out the militia. As a result, in 1685, militia forces from outside of the area were sent into the West. Army units were far more reliable. They were often garrisoned in an area for a while and did develop local knowledge and contacts. It was also their job to find fugitives. That is why they were garrisoned in the western shires. Irregular forces like the Highlanders were not familiar with the area, but they were fast moving, good in the hilly terrain, and arrived in large numbers in mid 1685. As to how good the heritors local knowledge of Galloway was, would probably depend on who was involved, but probably reasonably good. Lag did know Galloway, as he had pressed the oath there and would have known from the lists of fugitives and his experience where fugitives were likely to be found. Most fugitives hid close to home. The moors and hills were always a good choice of hunting ground if you wanted to find those who were determined not to be found. They remote areas long the boundaries between shires were popular meeting and hiding places for the Society people.